However, in the database Mikrobill ip address is correctly entered and completed. 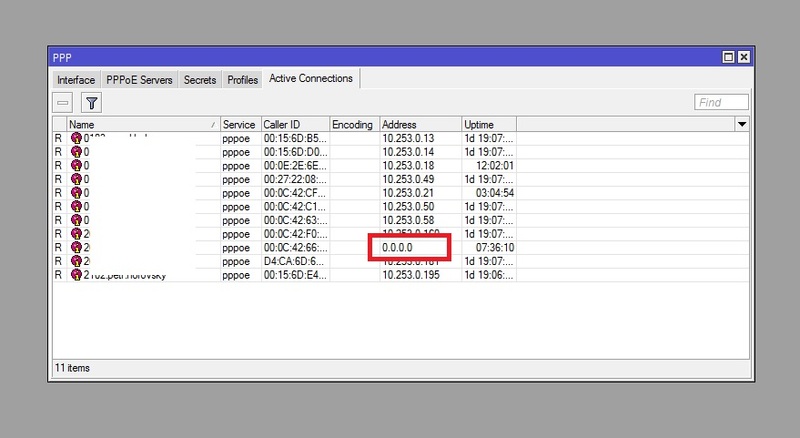 Just so I volunteered to mikrotik pppoe verify where a user removed the minus button, he reconnects and already has a good address. Unfortunately, the problem will repeat again to be for a day or two at a completely different person. Alternatively, I can provide access to the server.